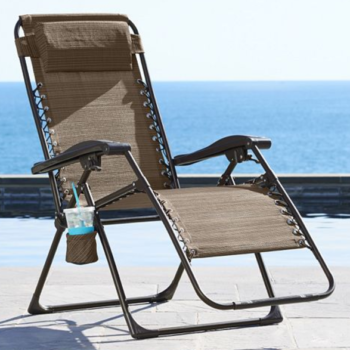 Hurry over to get this SONOMA Goods for Life™ Patio Antigravity Chair on sale for $35.99 when you combine the coupon code: PATIOPARTY (10% off) and BEACH (20% off) at checkout (Retail $139.99)! Plus you'll earn 120 Yes2You rewards points with your purchase. Hurry over HERE to order yours before this hot deal disappears. Shipping is free with in store pick up.